As a public relations professional, chances are you’re going to face a communication crisis at some point in your career. Whether it’s a compilation of poor reviews or a major scandal, it’s your job to mitigate the negative impact it has on your client and their reputation. Not entirely sure if you’re prepared? Target Media Directory has got you covered. The team at Target Media Directory breaks down exactly what it takes to effectively handle a PR communication crisis. A PR crisis can arise now faster than ever before – all thanks to instant communication, the shareability of content and fake news. That’s why you always need to be prepared for any situation that gets out of hand. Before tackling the problem at hand, it’s a good idea to step back and take a deep breath. You need to be in control of the situation, and that means being cool, calm and collected – not only for your sake, but for the sake of your team as well. Make sure that you adequately brief them on the situation, explain what is expected of them and also how they should respond to the media. This will give you, and your team, a chance to focus on the objective at hand, i.e., the crisis. A great way to ensure that you’re always prepared is to have a crisis plan in place before disaster hits. That way when something does come up everyone will already know what their role is. Now it’s time to take stock of exactly what went wrong. Do some research on what the crisis is, where it started and how it came about. Was your campaign message understood in the wrong way? Did content get published without being edited, or perhaps information made headlines before it was meant to? Whatever it is, you need to know the full story. To do that, you should investigate the crisis from your client’s perspective and think about how this crisis is going to impact their business and brand reputation. 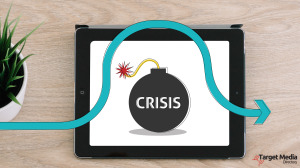 Then, take a look at how the incident was perceived externally by consumers, how your crisis affected them and what it’s going to take to smooth things over. With the knowledge of what has gone wrong, who it has impacted and how – it’s time to start thinking about how you’re going to deal with the situation and the position your client should take. Basically, it’s time to reinforce what your brand stands for. When crafting this message, you should consider the most sincere and transparent way to address the crisis, take responsibility for it while staying true to the brand’s values and also anticipate any questions the public might have. Often, the best way is to apologise to your client’s consumers, ensure that it won’t happen again, and also, express how the crisis has already been dealt with or will be dealt with. So if the campaign message was understood in the wrong way, refine the message and make the intentions behind it clear. If content was published without being edited first, put stricter procedures in place when it comes to publishing content. And if information was shared prematurely, work harder to be more transparent with consumers. Armed with your new brand message, your next step is to determine the best ways to get that message out there. 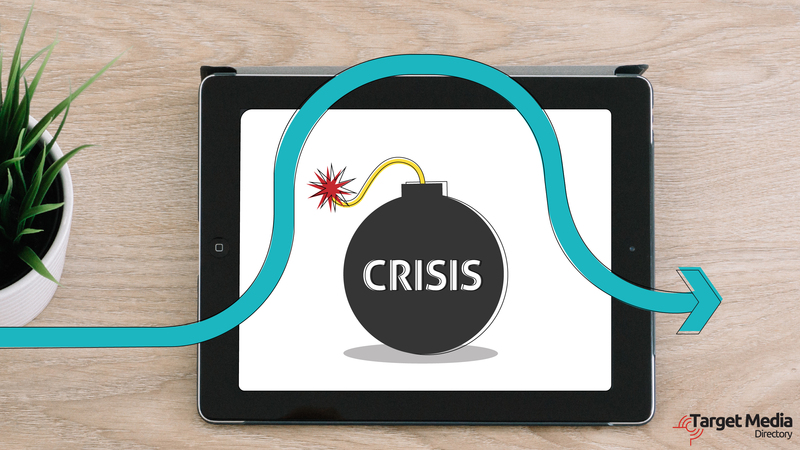 In the case of a viral crisis, you’ll need more than an apology to backup your new message. A good place to start is a public statement highlighting the crisis, your attempts to rectify it and any additional details you can provide to clarify the situation. Thereafter, press releases, press conferences and social media posts are a great way to further the message. Also, keep in mind that if your clients have a large or active presence on social media, it’s best to make the message as personal as possible (your consumers are used to being on an engaging level with your client). Everything may be said and done, but your job isn’t quite over. You need to remain focussed on your message and the way it’s being received. The best way to keep up with your message is to use a brand tracking service. This will deliver articles, blog posts, audio and video clips that mention your client’s brand to you as soon as the information is public. You can analyse this coverage to uncover the general sentiment surrounding your new brand message and determine if there’s anything you can do differently in the future.